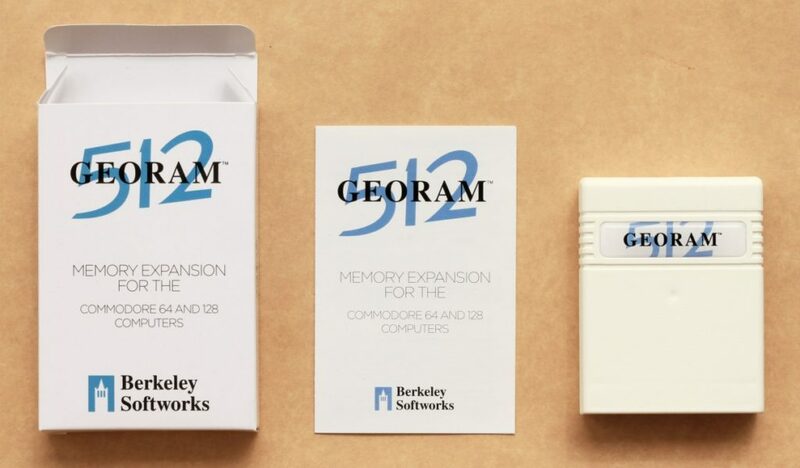 GEORAM is a 512K memory expansion unit made by Berkeley Softworks for use with GEOS. It can also be used for other programs, but is not compatible with Commodore REU. There are several programs that support GEORAM though, for example Maniac Mansion GOLD. The new GEORAM comes with a box and a manual. Just for comparison. 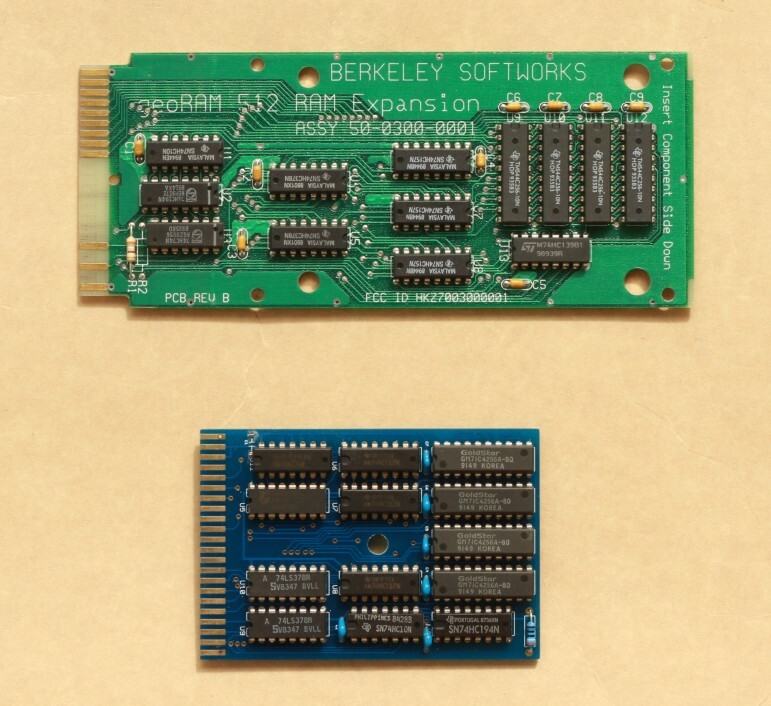 The original geoRAM to the left is very bulky and the PCB had to be exposed so it would fit into the C128D. I was always afraid to break something by mistake when handling the geoRAM. The new design is much better. Contents of the original geoRAM and the new GEORAM. Seems like today you could make it with a plug in for a SD card. They are way over 512K and I guess could just bank a lot more in. Like a 2GB one like could do on the old REU’s. Plug it be flash RAM and would not need a battery back up like on the old RAMDrive. I am not involved in the hardware, but send a query to The Shareware PLUS Commodore 64 & 128 Blog if there are plans for a 2MB GeoRAM. There is a product called NeoRAM. 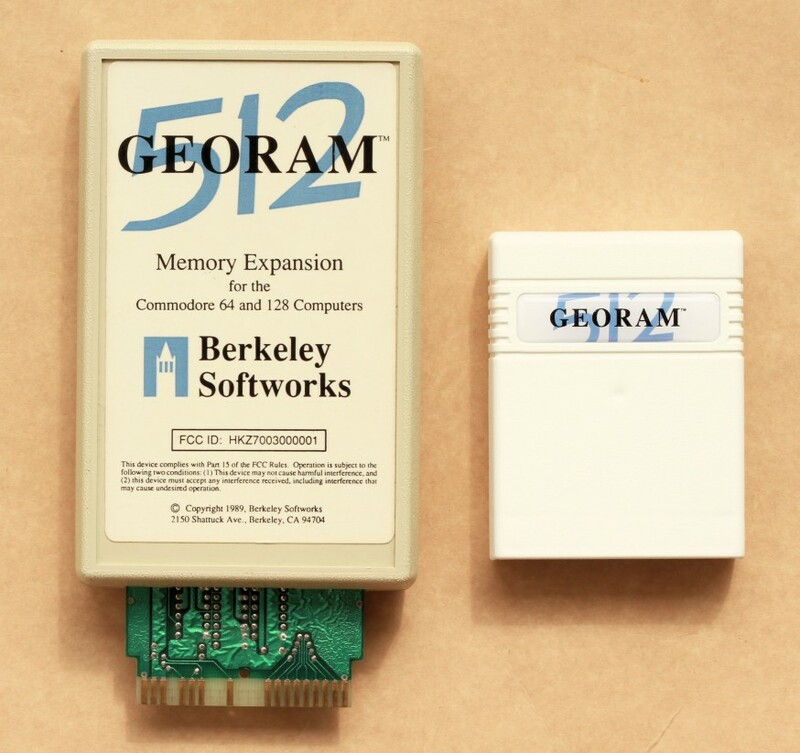 It is GeoRAM compatible and has 2MB RAM and a battery backup. Those are unfortunately a bit hard to get hold of. 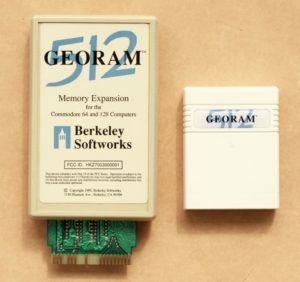 From the GeoRAM design principle, the maximum memory,that it can handle is 4MB.Some time ago I have made a prototype based on NeoRAM with a CPLD and a 4MB SRAM which worked very well.The disadvantage was the price of the SRAM chip.